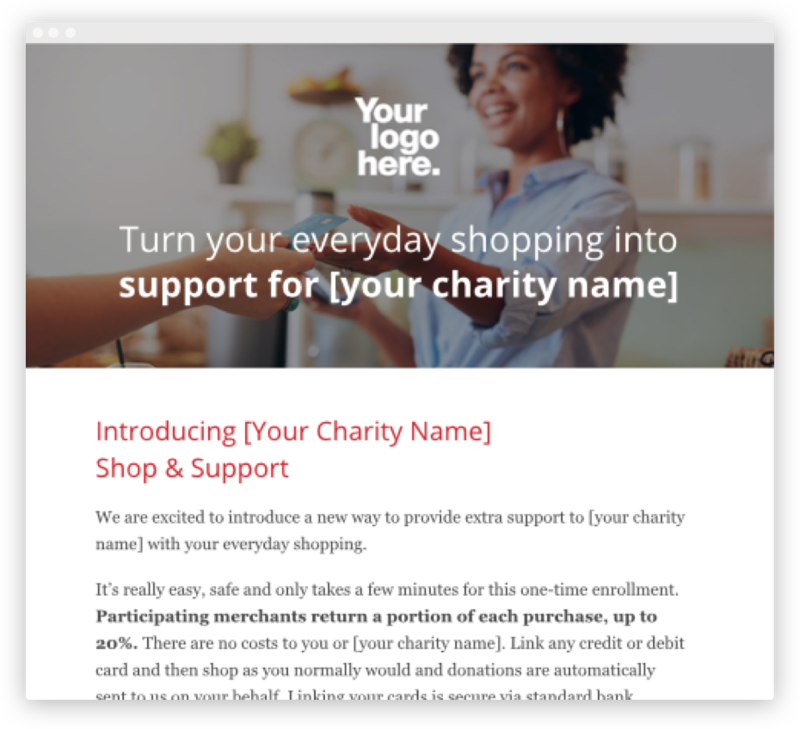 We make it easy to add Shop & Support to your website; providing examples for your homepage, donate page and ways to give page. This download includes text, images and logos in various sizes. One of the most effective ways to get the word out is to send a designated email. Everything needed for this email — text, merchant logos, icons and images are included in this download. 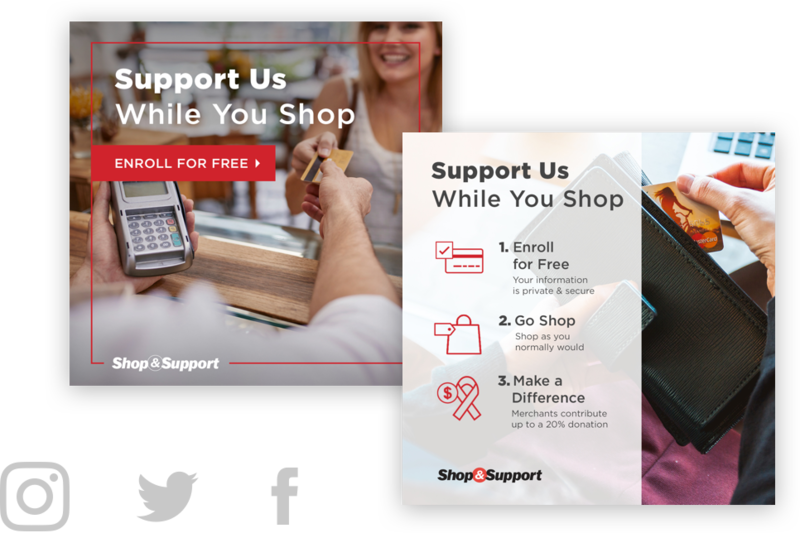 You’ll also find additional ways to feature Shop & Support in year-round email campaigns. Images and resources for you to share with your social networks are included in this download. You’ll find tips for social media posts along with an annual timeline for posts that are holiday specific. 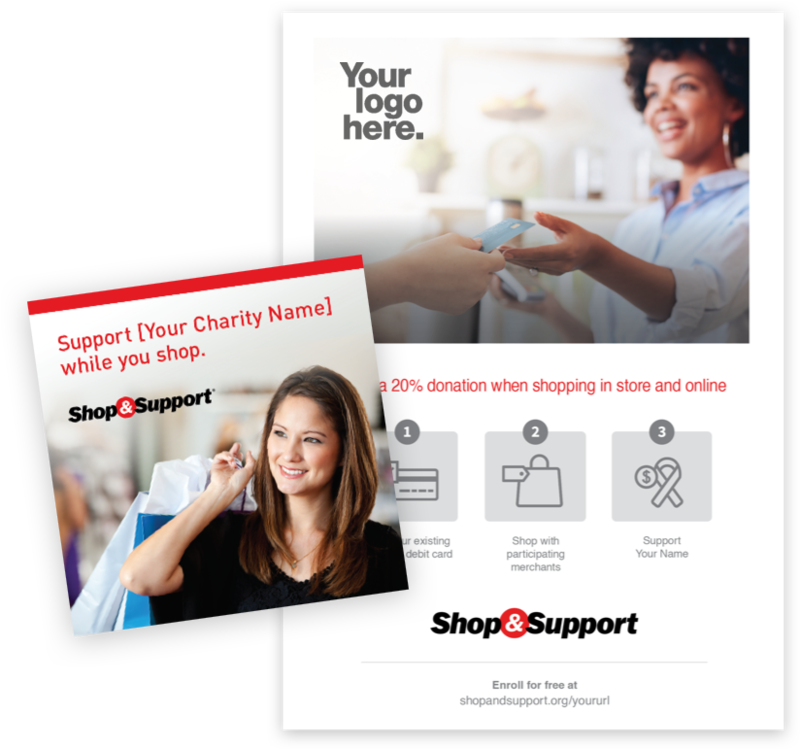 Print materials work great for receipt stuffers, events, tip-ins and general use. You will find donor invite cards and flyers in multiple sizes. This download includes native files for your customization. You can either print these on your own or you can order customized donor invite cards by contacting us. Complete the fields below to begin your download.